Karisma Tanna, a beautiful actress, was their in Des Mein Nikla Hoga Chand. But she stepped out due to some reason. she was also their in Kyunki...Saas Bhi Kabhi Bahu Thi, on Star plus, as Indu. 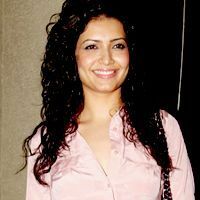 Check out the most updated and latest information about Karishma Tanna's on the Internet.We have 72 videos of Karishma Tanna including interviews, events, or public appearances.Karishma Tanna has over 79 Fans registered on India-Forums.com. We have 486 Television News articles related to Karishma Tanna.Do share your criticism, comments and feedback for the Actor on Karishma Tanna's comments page. We have over 174 Photos of Karishma Tanna to view and download including Karishma Tanna's Wallpapers. I just hate Karishma and Upen both. Both are big nautanki and bakwaas. Great going Karishma and upen. I want you guys to win. In your words, you are a Potty face and potty mouth, potty heart and potty brain LOSER!